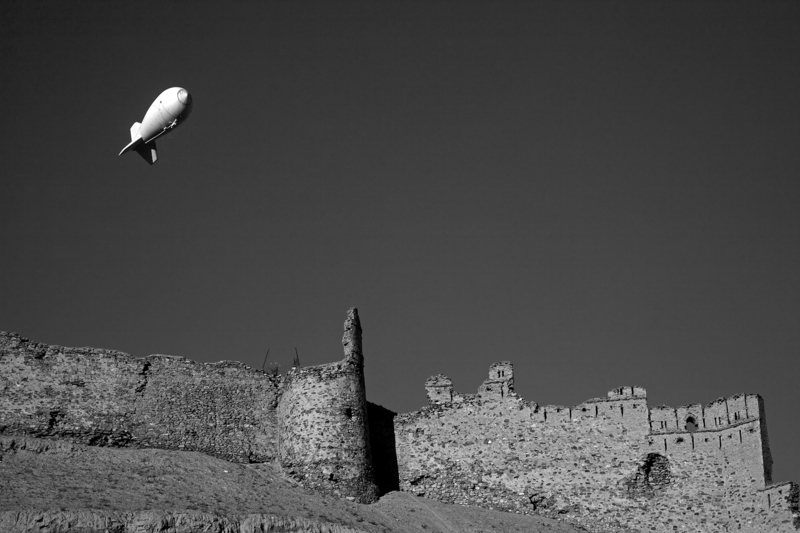 An aerostat balloon carrying out security surveillance floats over the 5th Century fortress Bala Hissar in Kabul. Afghanistan on December 2. 2012.